to see whether these things were so"
As we make our way toward the 2012 elections, many feel tossed to and fro by often contradicting claims about what the Bible says on this or that political issue. 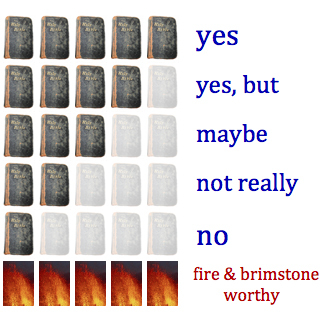 Most people just don't know the Bible well enough to say whether these claims are right, wrong, correct, incorrect or a matter of interpretation. On top of that, political Bible talkers on the campaign trail rarely cite chapter and verse, making it tough for us to check them out for ourselves. The Bible is a powerful weapon that has been wielded for good and for ill throughout American history. How can we keep political Biblespeak honest? Inspired by PolitiFact.com, BibliFact roundups aim to do just that. 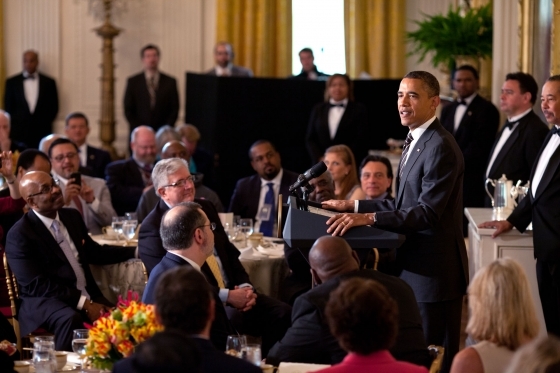 President Obama has been quite the biblical expositor at recent prayer breakfasts. Here are a few highlights worth checking out. Yes, these are quotations from the story of Jesus and his disciples in Gethsemane on the night of his arrest in the Gospel of Matthew (26:36-46). But, although Jesus in this story does express sorrow or anguish, does he experience doubt and fear? That's not clear. Moreover, in the president's recounting, it sounds like Jesus initially tries to get out of it but finally, "in the end," gives in, saying "may your will be done." In fact, Jesus offers the same prayer three times, each time asking that "this cup" be taken away but then insisting that God's will, not his, be done. So the anguish and the surrender are both there from the start. Interesting that, here and elsewhere, President Obama quotes from the 1984 edition of the New International Version, which is by far the most popular translation among evangelical Christians (most liberals prefer the New Revised Standard Version). Yes, the president is quoting John 16:33, in which Jesus is speaking to his disciples. Less reassuringly, in the verse immediately preceding this one, Jesus tells them that the time is near when they will be scattered and will abandon him. If verse 33 sounds like Easter Sunday, verse 32 sounds more like Good Friday. "And when I talk about shared responsibility, it's because I genuinely believe that in a time when many folks are struggling, at a time when we have enormous deficits, it's hard for me to ask seniors on a fixed income, or young people with student loans, or middle-class families who can barely pay the bills to shoulder the burden alone. And I think to myself, if I'm willing to give something up as somebody who's been extraordinarily blessed, and give up some of the tax breaks that I enjoy, I actually think that's going to make economic sense. But for me as a Christian, it also coincides with Jesus's teaching that 'for unto whom much is given, much shall be required.'" Yes, Jesus says this to his disciples in the Gospel of Luke (12:48). But he's not talking about taxes, money, or any sort of material wealth. Rather, he's talking about knowledge and responsibility. Jesus makes this statement after presenting a parable-like scenario in which a householder promotes one of his servants to be manager of the other servants. While the householder is away, however, that servant-manager shirks his responsibilities, beating the other servants and getting drunk. When the householder returns, he cuts the irresponsible servant to pieces. Jesus concludes that the one who knows what the householder wants - "unto whom much has been given" - and doesn't carry through deserves a far more severe punishment than the one who doesn't know any better. 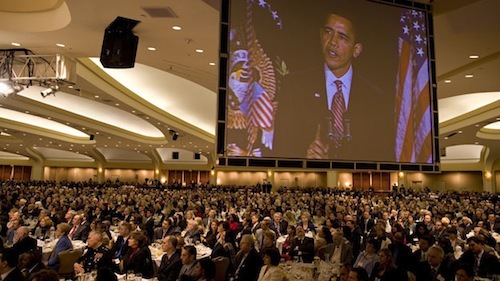 This is the only biblical quotation in President Obama's prayer breakfast remarks that is not taken from the New International Version translation. In fact, it doesn't seem to match any particular translation. It is closest to the King James Version: "For unto whomsoever much is given, of him shall be much required." But that could be a bit of a tongue-twister before your second cup of coffee in the morning.